I haven’t been able to run for a while. An injury, issues with my blood sugar and an out of commission treadmill converged on me all at once. Not running isn’t good for me. Running, or in my case run/walking is my first line of defense against all sorts of things. Diabetes. Depression. A sleep disorder called periodic limb movement syndrome (Think restless leg that affects my whole body) and the crazed hormone-induced feelings that come from celibacy. I NEED to run! I can live without it but I am far less pleasant to be around when I can’t or don’t. I haven’t wanted to be around me for about 6 weeks now so I can only apologize to my friends, family and co-workers for what I imagine has been taxing to say the least. I’m sorry y’all. Truly. I recognized the trend when my doctor ran the numbers. Damn! How did I let myself get that far off track? Even as a Health Coach I sometimes fall victim to the Cs. I got CAUGHT up in my day-to-day stresses. I got a little Complacent and COMFORTABLE and just COASTED through my days. The problem is that my days turned into weeks and weeks into months and the next thing I knew. BOOM! Blood sugar was too high. Mood was too low and everything was off balance. I couldn’t sleep. I couldn’t think straight and the thought of having to make the necessary changes to get back what I had lost was daunting. A Local gym ran a sign up special and my daughter A’Liya and her childhood friend Aiesha encouraged me to join with them. Having someone to go with me who was counting on me to get up and get it in was all I needed! And I am back in the saddle again. Just 6 weeks late my blood sugar is now back within normal ranges most days but the trend is moving down and that normal range will be my new normal again. A good friend, Angela Crawford of CherieNia Health & Wellness (http://cherieniahw.com/), who is a personal trainer in addition to being a Health Coach insisted I had to put more focus on strength training much to my chagrin. Like many women I’m not a big fan of weight training. Many women don’t like it because they fear it may bulk them up and make them look less feminine. They don’t want muscles. That’s not really my issue. I don’t mind being strong and muscle trumps fat in my opinion so bring on the muscle. No. My problem is different. I just plain don’t enjoy weight training. I LIKE to run. I LIKE Zumba and aerobics classes. Heck I like almost anything I can do to music. And I will do most things I genuinely LIKE to do. And I will do them consistently. I don’t like weights. It’s boring. It’s…well…it’s…for me it puts the WORK in WORK OUT. You experience an increase in lean muscle mass, which boosts your base metabolic rate and causes you to burn calories at a faster rate. Burning those calories helps keep your blood glucose levels in check. The ability of your muscles to store glucose increases with your strength, making your body better able to regulate its blood sugar levels. Your body fat-to-muscle ratio decreases, reducing the amount of insulin you need in your body to help store energy in fat cells. Even better results have been observed when people with type 2 diabetes combine a weight training routine with regular aerobic exercise. The two forms of exercise work together to create better health benefits than either does on its own. Increased muscle mass developed through weight training aids in the management of diabetes. Muscle is a major clearance site for circulating blood glucose. In type 2 diabetes, the body loses sensitivity to the blood glucose regulating hormone insulin. Blood glucoses build up within in the blood and as a result the stage is set for the development of complications. As lean body mass (e.g. muscle) increases, greater amounts of blood glucose are cleared from the blood. The greater the muscle mass the more calories burned at rest, equating to greater amounts of weight loss. It is important to note that the abdominal fat mass lost during weight training is the key behind the improvements in insulin sensitivity. So I have embraced the dumb bells, bar bells, the resistance bands, the kettle balls and the machines in spite of my original chilly feelings about them because cardio and weights are the perfect one-two punch to battle my chronic health issues. Diabetes is no joke. The ish is real. It maims, debilitates and kills people. I really, really like not having to take diabetes meds. I’m tired of being an endangered species. So I got to get over the hump. Especially the ones I create for myself. Ensuring the Health and Wellness of Your Pride! 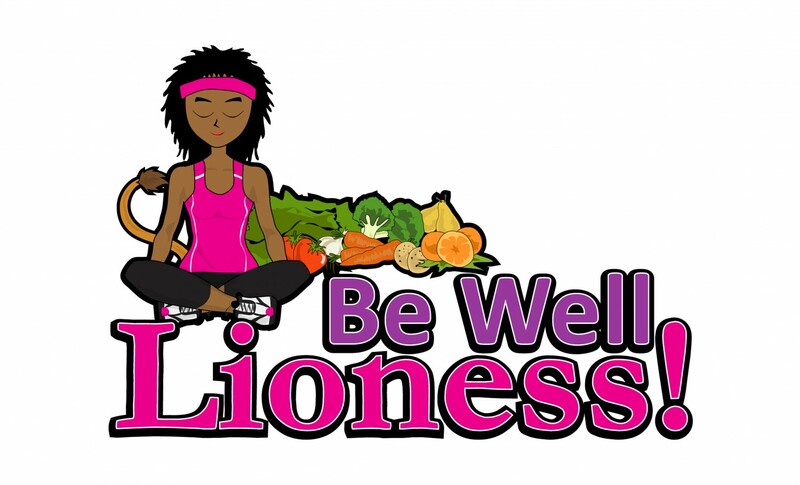 Pinterest @ Be Well Lioness!